Leaking EBP actuator? Eliminate the EBPV system that is prone to oil leakage with this blank Garrett pedestal. This pedestal is a direct replacement that will fit in place of your factory pedestal. All you should need extra is a set of pedestal o-rings that can be ordered as an option from the bottom of this page. Elimination of the EBP system on the pedestal will leave the electrical connector for the EBP solenoid abandoned. When the PCM attempts to engage the EBP valve, it will store a soft code since it no longer can find the solenoid. 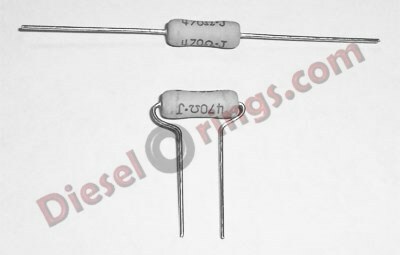 This soft code can be eliminated buy simply bending the axial leads of a resistor so it will plug into the abandoned electrical connector. It can be trimmed and bent over on the plug and wrapped with electrical tape. This resistor will fool the PCM into believing it is still controlling the EBP solenoid.